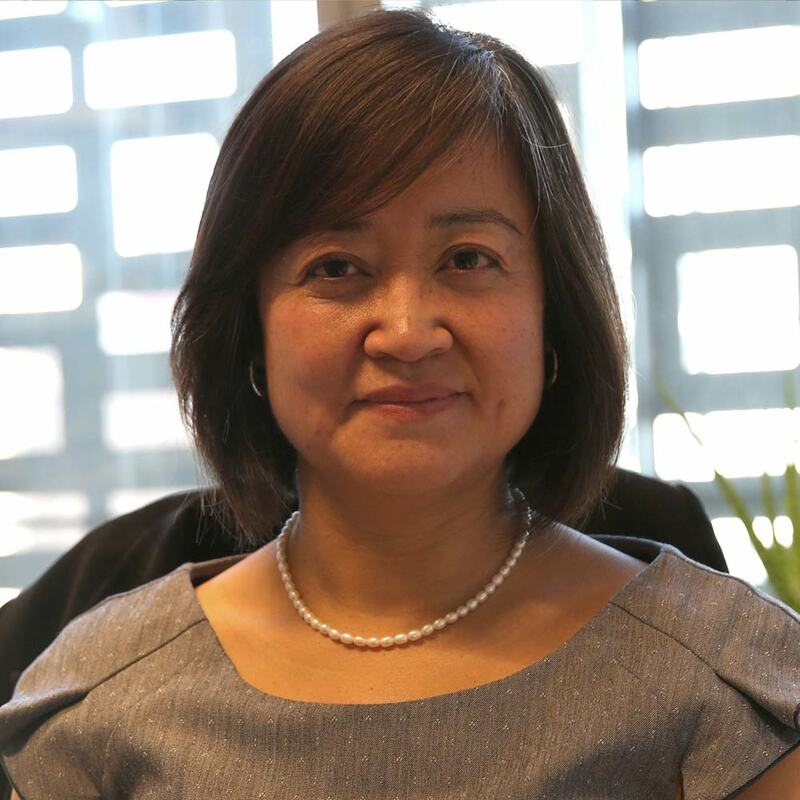 Dr Haiyan (Helen) LU is a Senior Lecturer in the School of Software, Faculty of Engineering and Information Technology, University of Technology Sydney (UTS). Dr Lu received her Bachelor and Master Degrees of Engineering from the Harbin University of Technology, China in 1985 and 1988 respectively. She was a lecturer in the Yanshan University China before she moved to Sydney Australia in 1994. She completed her Ph.D. degree in engineering at UTS in Australia in 2002. She is a core member of the Decision Systems & e-Service Intelligence Lab in the Centre for Quantum Computation and Intelligent Systems, UTS. © 2017 Elsevier Ltd Wind energy is attracting more attention with the growing demand for energy. However, the efficient development and utilization of wind energy are restricted due to the intermittency and randomness of wind speed. Although abundant investigations concerning wind speed forecasting have been conducted by numerous researchers, most of the studies merely attach importance to point forecasts, which cannot quantitatively characterize the uncertainties as developing intervals. In this study, a novel interval prediction architecture has been designed, aiming at constructing effective prediction intervals for a wind speed series, composed of a preprocessing module, a feature selection module, an optimization module, a forecast module and an evaluation module. The feature selection module, in cooperation with the preprocessing module, is developed to determine the optimal model input. Furthermore, the forecast module optimized by the optimization module is considered a predictor for giving prediction intervals. The experimental results shed light on the architecture that not only outperforms the benchmark models considered, but also has great potential for application to wind power systems. © 2018 Elsevier Ltd Short-term wind speed forecasting has a significant influence on enhancing the operation efficiency and increasing the economic benefits of wind power generation systems. A substantial number of wind speed forecasting models, which are aimed at improving the forecasting performance, have been proposed. However, some conventional forecasting models do not consider the necessity and importance of data preprocessing. Moreover, they neglect the limitations of individual forecasting models, leading to poor forecasting accuracy. In this study, a novel model combining a data preprocessing technique, forecasting algorithms, an advanced optimization algorithm, and no negative constraint theory is developed. This combined model successfully overcomes some limitations of the individual forecasting models and effectively improves the forecasting accuracy. To estimate the effectiveness of the proposed combined model, 10-min wind speed data from the wind farm in Peng Lai, China are used as case studies. The experiment results demonstrate that the developed combined model is definitely superior compared to all other conventional models. Furthermore, it can be used as an effective technique for smart grid planning. Air pollution is defined as a phenomenon harmful to the ecological system and the normal conditions of human existence and development when some substances in the atmosphere exceed a certain concentration. In the face of increasingly serious environmental pollution problems, scholars have conducted a significant quantity of related research, and in those studies, the forecasting of air pollution has been of paramount importance. As a precaution, the air pollution forecast is the basis for taking effective pollution control measures, and accurate forecasting of air pollution has become an important task. Extensive research indicates that the methods of air pollution forecasting can be broadly divided into three classical categories: statistical forecasting methods, artificial intelligence methods, and numerical forecasting methods. More recently, some hybrid models have been proposed, which can improve the forecast accuracy. To provide a clear perspective on air pollution forecasting, this study reviews the theory and application of those forecasting models. In addition, based on a comparison of different forecasting methods, the advantages and disadvantages of some methods of forecasting are also provided. This study aims to provide an overview of air pollution forecasting methods for easy access and reference by researchers, which will be helpful in further studies. © 2018 Elsevier B.V. Accurate and stable annual electricity consumption forecasting play vital role in modern social and economic development through providing effective planning and guaranteeing a reliable supply of sustainable electricity. However, establishing a robust method to improve prediction accuracy and stability simultaneously of electricity consumption forecasting has been proven to be a highly challenging task. Most previous researches only pay more attention to enhance prediction accuracy, which usually ignore the significant of forecasting stability, despite its importance to the effectiveness of forecasting models. Considering the characteristics of annual power consumption data as well as one criterion i.e. accuracy or stability is insufficient, in this study a novel hybrid forecasting model based on an improved grey forecasting mode optimized by multi-objective ant lion optimization algorithm is successfully developed, which can not only be utilized to dynamic choose the best input training sets, but also obtain satisfactory forecasting results with high accuracy and strong ability. Case studies of annual power consumption datasets from several regions in China are utilized as illustrative examples to estimate the effectiveness and efficiency of the proposed hybrid forecasting model. Finally, experimental results indicated that the proposed forecasting model is superior to the comparison models. © 2018 Elsevier B.V. With atmospheric environmental pollution becoming increasingly serious, developing an early warning system for air quality forecasting is vital to monitoring and controlling air quality. However, considering the large fluctuations in the concentration of pollutants, most previous studies have focused on enhancing accuracy, while few have addressed the stability and uncertainty analysis, which may lead to insufficient results. Therefore, a novel early warning system based on fuzzy time series was successfully developed that includes three modules: deterministic prediction module, uncertainty analysis module, and assessment module. In this system, a hybrid model combining the fuzzy time series forecasting technique and data reprocessing approaches was constructed to forecast the major air pollutants. Moreover, an uncertainty analysis was generated to further analyze and explore the uncertainties involved in future air quality forecasting. Finally, an assessment module proved the effectiveness of the developed model. The experimental results reveal that the proposed model outperforms the comparison models and baselines, and both the accuracy and the stability of the developed system are remarkable. Therefore, fuzzy logic is a better option in air quality forecasting and the developed system will be a useful tool for analyzing and monitoring air pollution. © 2018 Elsevier Ltd Wind speed forecasting is important for high-efficiency utilization of wind energy. Correspondingly, numerous researchers have always focused on the development of reliable forecasting models of wind speed, which is often noisy, unstable and irregular. Current approaches could adapt to various wind speed data. However, many of these usually ignore the importance of the selection of the modeling sample, which often results in poor forecasting performance. In this study, a hybrid forecasting system is proposed that contains three modules: data preprocessing, data clustering, and forecasting modules. In this system, the decomposing technique is applied to reduce the influence of noise within the raw data series to obtain a more stable sequence that is conducive to extract traits from the original data. To extract the characteristic of similarity within wind speed data, a kernel-based fuzzy c-means clustering algorithm is used in data clustering module. In the forecasting module, a sample with a highly similar fluctuation pattern is selected as training dataset, and which could reduce the training requirement of model to improve the forecasting accuracy. The experimental results indicate that the developed system outperforms the discussed traditional forecasting models with respect to forecasting accuracy. © 2017 Elsevier Ltd Air quality has received continuous attention from both environmental managers and citizens. Accordingly, early-warning systems for air pollution are very useful tools to avoid negative health effects and develop effective prevention programs. However, developing robust early-warning systems is very challenging, as well as necessary. This paper develops a reliable and effective early-warning system that consists of air quality prediction and assessment modules. In the prediction module, a hybrid forecasting method is developed for predicting pollutant concentrations that effectively estimates future air quality conditions. In developing this proposed model, we suggest the use of a back propagation neural network algorithm, combined with a probabilistic parameter model and data preprocessing techniques, to address the uncertainties involved in future air quality prediction. Meanwhile, a pre-analysis is implemented, primarily by using optimized distribution functions to examine and analyze statistical characteristics and emission behaviors of air pollutants. The second method, which is developed as part of the second module, is based on fuzzy set theory and the Analytic Hierarchy Process, and it performs air quality assessments to provide a clear and intelligible description of air quality conditions. Using data from the Ministry of Environmental Protection of China and six stages of air quality classification levels, specifically good, moderate, lightly polluted, moderately polluted, heavily polluted and severely polluted, two cities in China, Chengdu and Hangzhou, are used as illustrative examples to verify the effectiveness of the developed early-warning system. The results demonstrate that the proposed methods are effective and reliable for use by environmental supervisors in air pollution monitoring and management. © 2017 Elsevier Ltd Solar radiation forecasting plays a significant role in precisely designing solar energy systems and in the efficient management of solar energy plants. Most research only focuses on accuracy improvements; however, for an effective forecasting model, considering only accuracy or stability is inadequate. To solve this problem, a combined model based on nondominated sorting-based multiobjective bat algorithm (NSMOBA) is developed for the optimization of weight coefficients of each model to achieve high accuracy and stability results simultaneously. In addition, a statistical method and data mining-based approach are used to determine the input variables for constructing the combined model. Monthly average solar radiation and meteorological variables from six datasets in the U.S. collected for case studies were used to assess the comprehensive performance (both in accuracy and stability) of the proposed combined model. The simulation in four experiments demonstrated the following: (a) the proposed combined model is suita ble for providing accurate and stable solar radiation forecasting; (b) the combined model exhibits a more competitive forecasting performance than the individual models by using the advantage of each model; (c) the NSMOBA is an efficient algorithm for providing accurate forecasting results and improving the stability where the single bat algorithm is insufficient. © 2017 by the authors. Licensee MDPI, Basel, Switzerland. Accurate and stable wind speed forecasting is of critical importance in the wind power industry and has measurable influence on power-system management and the stability of market economics. However, most traditional wind speed forecasting models require a large amount of historical data and face restrictions due to assumptions, such as normality postulates. Additionally, any data volatility leads to increased forecasting instability. Therefore, in this paper, a hybrid forecasting system, which combines the 'decomposition and ensemble' strategy and fuzzy time series forecasting algorithm, is proposed that comprises two modules-data pre-processing and forecasting. Moreover, the statistical model, artificial neural network, and Support Vector Regression model are employed to compare with the proposed hybrid system, which is proven to be very effective in forecasting wind speed data affected by noise and instability. The results of these comparisons demonstrate that the hybrid forecasting system can improve the forecasting accuracy and stability significantly, and supervised discretization methods outperform the unsupervised methods for fuzzy time series in most cases. © 2016 Taylor & Francis Group, LLC. In this paper, wind energy potential of four locations in Xinjiang region is assessed. The Weibull distribution as well as the Logistic and the Lognormal distributions are applied to describe the distributions of the wind speed at different heights. In determining the parameters in the Weibull distribution, four intelligent parameter optimization approaches including the differential evolutionary, the particle swarm optimization, and two other approaches derived from these two algorithms and combined advantages of these two approaches are employed. Then the optimal distribution is chosen through the Chi-square error (CSE), the Kolmogorov–Smirnov test error (KSE), and the root mean square error (RMSE) criteria. However, it is found that the variation range of some criteria is quite large, thus these criteria are analyzed and evaluated both from the anomalous values and by the K-means clustering method. Anomaly observation results have shown that the CSE is the first one should be considered to be eliminated from the consequent optimal distribution function selection. This idea is further confirmed by the K-means clustering algorithm, by which the CSE is clustered into a different group with KSE and RMSE. Therefore, only the reserved two error evaluation criteria are utilized to evaluate the wind power potential. © 2015 Elsevier Ltd. All rights reserved. Due to atmospheric pollution from fossil fuels, the reduction of wind turbine costs, and the rise of the low-carbon economy, wind energy conversion systems have become one of the most significant forms of new energy in China. Therefore, to reduce investment risk and maximize profits, it is necessary to assess wind resources before building large wind farms. This paper develops a comprehensive system containing four steps to evaluate the potential of wind resources at two sites in Xilin Gol League and at additional two sites in Alxa League of Inner Mongolia, China: (1) By calculating the total scores of three indexes, including the effective wind power density (EWPD), wind available time (WAT) and population density (PD), an indexes method is applied to assess the theoretical wind energy potential from 2001 to 2010. (2) To judge the fluctuations in the wind speed, the Fisher optimal partition method and the Jonckheere-Terpstra test are used to analyze the changes in the average monthly and yearly wind speeds from 2001 to 2010. (3) Three probability density functions, i.e., Weibull, Gamma and Lognormal, are used to assess the wind speed frequency distribution in 2010. To enhance the evaluation accuracy, three intelligent optimization parameter estimation algorithms, i.e., the particle swarm optimization algorithm (PSO), differential evolution algorithm (DE) and ant colony algorithm (ACO), are used to estimate the parameters of these distributions. (4) It is helpful to analyze the wind characteristics when assessing wind resources and selecting wind turbines. Therefore, the optimal frequency distribution based on the best parameter estimation method can be chosen to calculate the wind power density, the most probable wind speed and the wind speed carrying the maximum energy. The experimental results show that Site 1 and Site 4 are more suitable for large wind farms than Site 2 or Site 3. © 2015 Elsevier Ltd. This paper proposed a COSM (cost-optimization superstructure model) and derived the optimized oil-saving pathways for road freight transportation in China until 2030. The optimization target of the COSM was to minimize the accumulated energy and vehicle costs from 2010 to 2030 by choosing the most cost-effective fuel option for newly registered trucks each year. Based on the COSM, three scenarios were developed to evaluate the oil-saving pathway in terms of imported crude oil price, available alternative fuels and GHG emission reduction. The scenario analysis results indicate that: (1) for scenario A, the accumulated oil-saving potential was approximately about 13%, while the oil-saving potential of improving fuel consumption rate and load running rate was 17% and 16%; (2) for scenario B, the accumulated oil-saving potential increased to 82% in reference oil price and 23% in low oil price; (3) for scenario C, to reduce per ton of GHG emission, the increased cost will increase from 34 USD to 450 USD when the GHG emission target decreased from 15.4 billion tons to the turn point of 13.5 billion tons. The advancement of information and communications technology and web services offers an opportunity for e-government service integration, which can help improve the availability and quality of services offered. However, few of the potential service integration applications have been adopted by governments to increase the accessibility of and satisfaction with government services and information for citizens. Recently, the 'life event' concept was introduced as the core element of integrating complexity of service delivery to improve the efficiency and reusability of e-government services, web-based information management systems. In addition, a semantic web-based ontology is considered to be the most powerful conceptual approach for dealing with challenges associated with developing seamless systems in distributed environments. Among these challenges are interoperability, which can be loosely defined as the technical capability for interoperation. Despite the conceptual emergence of semantic web-based ontology for life events, the question remains of what methodology to use when designing a semantic web-based ontology for life events. This paper proposes a semantic web-based ontology model for life events for e-government service integration created using a methodology that implements the model using the ontology modelling tool Protégé and evaluates the model using Pellet Reasoner and the SPARQL query language. In addition, this model is illustrated by two examples, the Saudi Arabia King Abdullah Scholarship and Hafiz, to show the advantages of integrated systems compared with standalone systems. These examples show that the new model can effectively support the integration of standalone e-government services automatically so that citizens do not need to manually execute individual services. This can significantly improve the accessibility of e-government services and citizen's satisfaction. © 2014-IOS Press. Electricity consumption forecasting has been always playing a vital role in power system management and planning. Inaccurate prediction may cause wastes of scarce energy resource or electricity shortages. However,forecasting electricity consumption has proven to be a challenging task due to various unstable factors. Especially,China is under going a period of economic transition,which highlights this difficulty. This paper proposes a time-varying-weight combining method,i.e.High-order Markov chain based Time-varying Weighted Average(HM-TWA) method to predict the monthly electricity consumption in China. HM-TWA first calculates the in-sample time-varying combining weights by quadratic programming for the individual forecasts.Then it predicts the out-of-sample time-varying adaptive weights through extrapolating these in-sample weights using a high-order Markov chain model. Finally,the combined forecasts can be obtained. In addition,to ensure that the sample data have the same properties as the required forecasts,a reasonable multi-step-ahead forecasting scheme is designed forHM-TWA.The out-of-sample forecasting performance evaluation shows that HM-TWA outperforms the component models and traditional combining methods,and its effectiveness is further verified by comparing it with some other existing models. © 2014 IEEE. This paper presents the core loss computation in a permanent magnet transverse flux motor (TFM) with soft magnetic composite stator core and mild steel rotor yoke, in which the magnetic fluxes rotate. The computation is based on modified core loss models and finite element magnetic field analysis [finite element analysis (FEA)]. The coefficients for the core loss models are obtained by curve-fitting measurements on samples, and the magnetic flux density patterns in the motor are obtained by time-stepping FEA while operating conditions are considered. The computations of the motor core losses agree with the measured values on the TFM prototype. For an energy-limited economy system, it is crucial to forecast load demand accurately. This paper devotes to 1-week-ahead daily load forecasting approach in which load demand series are predicted by employing the information of days before being similar to that of the forecast day. As well as in many nonlinear systems, seasonal item and trend item are coexisting in load demand datasets. In this paper, the existing of the seasonal item in the load demand data series is firstly verified according to the Kendall t correlation testing method. Then in the belief of the separate forecasting to the seasonal item and the trend item would improve the forecasting accuracy, hybrid models by combining seasonal exponential adjustment method (SEAM) with the regression methods are proposed in this paper, where SEAM and the regression models are employed to seasonal and trend items forecasting respectively. Comparisons of the quartile values as well as the mean absolute percentage error values demonstrate this forecasting technique can significantly improve the accuracy though models applied to the trend item forecasting are eleven different ones. This superior performance of this separate forecasting technique is further confirmed by the paired-sample T tests. Plug-in electric vehicles (PEVs) appear to offer a promising option for mitigating greenhouse emission. However, uncoordinated PEV charging can weaken the reliability of power systems. The proper accommodation of PEVs in a power grid imposes many challenges on system planning and operations. This work aims to investigate optimal PEV coordination strategies with cost-benefit analysis. In Part I, we first present a new method to calculate the charging load of PEVs with a modified Latin hypercube sampling (LHS) method for handling the stochastic property of PEVs. We then propose a new two-stage optimization model to discover the optimal charging states of PEVs in a given day. Using this model, the peak load with charging load of PEVs is minimized in the first stage and the load fluctuation is minimized in the second-stage with peak load being fixed as the value obtained in the first stage. An algorithm based on linear mixed-integer programming is provided as a suitable solution method with fast computation. Finally, we present a new method to calculate the benefit and cost for a PEV charging and discharging coordination strategy from a social welfare approach. These methods are useful for developing PEV coordination strategies in power system planning and supporting PEV-related policy making. Continuing with a set of enabling techniques for the optimal coordination of plug-in electric vehicles (PEVs) in Part I, we present a case study in this paper using techniques based on the data collected in the BeijingTianjinTangshan Region (BTTR) China to discover optimal PEV coordination strategies and assess the attractiveness of these strategies. In Part II, we first present the charging characteristics for different categories of PEVs in BTTR and predict the optimal seasonal daily loads with PEVs under different PEV penetration levels using a two-stage optimization model in both 2020 and 2030. The simulation results indicate that optimal PEV coordination effectively reduces the peak load and smooths the load curve. Finally, we present a cost-benefit analysis of optimal coordination strategies by taking a social welfare approach. The analysis shows that the optimal coordination strategies are beneficial in terms of the reduction in capital investment in power grid expansion and that the attractiveness of a coordination strategy is related to the coordination level. The results also show that the fully coordinated charging and vehicle to grid are not the most attractive strategies. This case study is useful for better understanding the costs and benefits of PEV coordination strategies and for supporting PEV-related decision and policy making from a power system planning perspective. In this paper, a modified EMD-FNN model (empirical mode decomposition (EMD) based feed-forward neural network (FNN) ensemble learning paradigm) is proposed for wind speed forecasting. The nonlinear and non-stationary original wind speed series is first decomposed into a finite and often small number of intrinsic mode functions (IMFs) and one residual series using EMD technique for a deep insight into the data structure. Then these sub-series except the high frequency are forecasted respectively by FNN whose input variables are selected by using partial autocorrelation function (PACF). Finally, the prediction results of the modeled IMFs and residual series are summed to formulate an ensemble forecast for the original wind speed series. Further more, the developed model shows the best accuracy comparing with basic FNN and unmodified EMD-based FNN through multi-step forecasting the mean monthly and daily wind speed in Zhangye of China. Increased application of sequence mining in web recommender systems (WRS) requires a better understanding of the performance and a clear identification of the strengths and weaknesses of existing algorithms. Among the commonly used sequence mining methods, the tree-based approach, such as pre-order linked WAP-tree mining algorithm (PLWAP-Mine) and conditional sequence mining algorithm (CS-Mine), has demonstrated high performance in web mining applications. However, its advantages over other mining methods are not well explained and understood in the context of WRS. This paper firstly reviews the existing sequence mining algorithms, and then studies the performance of two outstanding algorithms, i.e., the PLWAP-Mine and CS-Mine algorithms, with respect to their sensitivity to the dataset variability, and their practicality for web recommendation. The results show that CS-Mine performs faster than PLWAP-Mine, but the frequent patterns generated by PLWAP-Mine are more effective than CS-Mine when applied in web recommendations. These results are useful to WRS developers for the selection of appropriate sequence mining algorithms. © 2012 Inderscience Enterprises Ltd.
Soft magnetic composite (SMC) materials are especially suitable for developing electrical machines with complex structure and three-dimensional (3-D) magnetic flux path. In these SMC machines, the magnetic field is in general 3-D and rotational, so the mechanism and calculation of core loss may be quite different from that in traditional electrical machines with laminated steels in which the magnetic field is restrained. This paper investigates the calculation of core loss in a permanent magnet claw pole motor with SMC stator core. First, core loss models are developed based on the experimental data on SMC samples by using a 3-D magnetic property tester. Then, 3-D magnetic time-stepping field finite element analysis (FEA) is conducted to find the flux density locus in each element when the rotor rotates. The core loss is computed based on the magnetic field FEA results by using the developed core loss models. The calculations agree well with the experimental measurements on the SMC motor prototype. Wind energy, which is intermittent by nature, can have a significant impact on power grid security, power system operation, and market economics, especially in areas with a high level of wind power penetration. Wind speed forecasting has been a vital part of wind farm planning and the operational planning of power grids with the aim of reducing greenhouse gas emissions. Improving the accuracy of wind speed forecasting algorithms has significant technological and economic impacts on these activities, and significant research efforts have addressed this aim recently. However, there is no single best forecasting algorithm that can be applied to any wind farm due to the fact that wind speed patterns can be very different between wind farms and are usually influenced by many factors that are location-specific and difficult to control. In this paper, we propose a new hybrid wind speed forecasting method based on a back-propagation (BP) neural network and the idea of eliminating seasonal effects from actual wind speed datasets using seasonal exponential adjustment. This method can forecast the daily average wind speed one year ahead with lower mean absolute errors compared to figures obtained without adjustment, as demonstrated by a case study conducted using a wind speed dataset collected from the Minqin area in China from 2001 to 2006. ¾Permanent magnet (PM) linear synchronous motors (PMLSMs) can be integrated with a high temperature superconducting (HTS) magnetic suspension system to be used in such as electromagnetic aircraft launcher and maglev transportation which have a levitated object moving on a long linear track. This paper presents the design and electromagnetic characteristic analysis of a long-primary single-sided PMLSM for a HTS bulk-PM guideway repulsion magnetic suspension propulsion system. Based on the characteristics and performance analysis of the PMLSM, a new type of HTS suspension propulsion system driven by a double-sided PMLSM with an optimal PM structure is then proposed. The running characteristics of the linear propulsion systems are studied through finite element analysis (FEA) with comprehensive performance results obtained for practical development. Particle swarm optimization (PSO) is a population-based evolutionary technique. Advancements in the PSO development over the last decade have made it one of the most promising optimization algorithms for a wide range of complex engineering optimization problems which traditional derivative-based optimization techniques cannot handle. The most attractive features of PSO are its algorithmic simplicity and fast convergence. However, PSO tends to suffer from premature convergence when applied to strongly multi-modal optimization problems. This paper proposes a method of incorporating a real-valued mutation (RVM) operator into the PSO algorithms, aimed at enhancing global search capability. Three variants of PSO algorithms are considered. The resultant hybrid PSO-RVM algorithms are experimentally investigated along with the PSO variants and an existing PSO with Gaussian mutation using six typical benchmark functions. It is interesting to see that the effectiveness of RVM varies for different PSO variants as well as different kinds of functions. It has been found that one of the hybrid algorithms, CBPSO-RVM, which is an integration of the PSO with the constriction factor and inertia weight (CBPSO) and the RVM operator, exhibits significantly better performance in most of the test cases compared to the other algorithms under consideration. Furthermore, this algorithm is superior to most of the existing algorithms used in this study when applied to two practical ED problems with non-smooth cost function considering the multiple fuel type and/or valve-point loading effects. Energy crisis has made it urgent to find alternative energy sources for sustainable energy supply; wind energy is one of the attractive alternatives. Within a wind energy system, the wind speed is one key parameter; accurately forecasting of wind speed can minimize the scheduling errors and in turn increase the reliability of the electric power grid and reduce the power market ancillary service costs. This paper proposes a new hybrid model for long-term wind speed forecasting based on the first definite season index method and the Autoregressive Moving Average (ARMA) models or the Generalized Autoregressive Conditional Heteroskedasticity (GARCH) forecasting models. The forecasting errors are analyzed and compared with the ones obtained from the ARMA, GARCH model, and Support Vector Machine (SVM); the simulation process and results show that the developed method is simple and quite efficient for daily average wind speed forecasting of Hexi Corridor in China. Copyright © 2010 Zhenhai Guo, et al. Thanks to the unique magnetic properties, soft magnetic composite (SMC) materials and their application in electromagnetic devices have achieved significant development. The typical application example of SMC is the electrical machine with complex structure, such as claw pole and transverse flux machines, in which the magnetic field is basically rotary. To design and analyze such a device, vector magnetic properties of the core material should be properly determined, modeled and applied. This paper presents the modeling of vector magnetic hysteresis of SMC based on a Stoner-Wohlfarh (S-W) elemental operator. A phenomenological mean-field approximation is used to consider the interaction between particles. With the presented model, the magnetization processes of SMC under both alternating and rotating fluxes are numerically simulated. The simulations have been verified by experimental measurements. Guo, Y, Jin, J, Zheng, L, Zhu, J & Lu, H 2008, 'A Permanent Magnet Linear Synchronous Motor Drive for HTS Maglev Transportation Systems', Journal of Electronic Science and Technology of China - Zhongguo Dianzi Keji, vol. 6, no. 2, pp. 125-129. A permanent magnet linear synchronous motor (pMLSM) for a high temperature superconducting (HTS) maglev system has been studied, including the motor structure, control strategy, and analysis techniques. Finite elemeut analysis (FEA) of magnetic field is conducted to accurately calculate major motor parameters. Equivalent electrical circuit is used to predict the drive's steady-state characteristics, and a phase variable model is applied to predict the dynamic performance. Preliminary experiment with a prototype has been made to verify the theoretical analysis and the HTS-PM synchronons driving technology. In many situations, for example, in the cores of a rotating electrical machine and the T-joints of multiphase transformers, the magnetic flux varies with time in terms of both magnitude and direction, i.e., the local flux density vector rotates with varying magnitude and varying speed. Therefore, it is important that the magnetic properties of the core materials under various rotational magnetizations be properly investigated, modeled, and applied in the design and analysis of electromagnetic devices with rotational flux. Drawing from the huge amount of papers published by various researchers in the past century, this paper presents an extensive survey on the measurement and modeling of rotational core losses of soft magnetic materials used in electrical machines, particularly from the view of practical engineering application. The paper aims to provide a broad picture of the historical development of measuring techniques, measuring apparatus, and practical models of rotational core losses. Winding inductance is an important parameter in determining the performance of electrical machines, particularly those with large inductance variation. This paper investigates the influence of winding inductance variation on the performance of a three-phase three-stack claw pole permanent magnet motor with soft magnetic composite (SMC) stator by using an improved phase variable model. The winding inductances of the machine are computed by using a modified incremental energy method, based on three-dimensional nonlinear time-stepping magnetic field finite element analyses. The inductance computation and performance simulation are verified by the experimental results of an SMC claw pole motor prototype. Lu, H, Zhong, JJ, Guo, YG, Zhu, JG & Jin, JX 2007, 'Techniques and Apparatus for Measuring Rotational Core Losses of Soft Magnetic Materials', Journal of Electronic Science and Technology of China, vol. 5, no. 3, pp. 218-225. Along with the trends of higher and higher frequency operations and smaller and smaller physical volumes of power electronic systems, the transformers and inductors used in the power electronic systems are facing challenge to operate at high frequencies. This paper presents a survey on the soft magnetic materials used in the high frequency high power density (HFHPD) transformers and inductors in the power electronic systems. Various types of magnetic material, such as electrical sheets, soft ferrites and amorphous magnetic alloys, are reviewed. It is revealed that soft ferrites seem the most suitable for the core materials of HFHPD transformers. Zhong, J, Guo, Y, Zhu, J, Lu, H & Jin, J 2007, 'Techniques and Apparatus for Measuring Rotational Core Losses of Soft Magnetic Materials', Journal of Electronic Science and Technology of China - Zhongguo Dianzi Keji, vol. 5, no. 3, pp. 218-225. The constructor calculus supports generic operations defined over arbitrary data types including abstract data types. This paper extends the basic constructor calculus to handle constructed locations. The resulting calculus is able to define a generic assignment operation that performs in-place whenever appropriate and allocates fresh memory otherwise. This approach may eliminate many of the space overheads associated with higher-order polymorphic languages. In combination with existing generic programming techniques it can express some very powerful algorithms such as the visitor pattern. Guo, Y., jin, J., zhu, J.G. & Lu, H.Y. 2013, 'Performance Analysis of a Linear Motor with HTS Bulk Magnets for Driving a Prototype HTS Maglev Vehicle' in Applied Mechanics and Materials – Linear Drives for Industry Applications XI, Trans Tech Publications, Switzerland. © 2017 IEEE. Concept drift, given the huge volume of high-speed data streams, requires traditional machine learning models to be self-adaptive. Techniques to handle drift are especially needed in regression cases for a wide range of applications in the real world. There is, however, a shortage of research on drift adaptation for regression cases in the literature. One of the main obstacles to further research is the resulting model complexity when regression methods and drift handling techniques are combined. This paper proposes a self-adaptive algorithm, based on a fuzzy kernel c-means clustering approach and a lazy learning algorithm, called FKLL, to handle drift in regression learning. Using FKLL, drift adaptation first updates the learning set using lazy learning, then fuzzy kernel c-means clustering is used to determine the most relevant learning set. Experiments show that the FKLL algorithm is better able to respond to drift as soon as the learning sets are updated, and is also suitable for dealing with reoccurring drift, when compared to the original lazy learning algorithm and other state-of-the-art regression methods. © 2017, Springer International Publishing AG. Forecasting of wind speed plays an important role in wind power prediction for management of wind energy. Due to intermittent nature of wind, accurately forecasting of wind speed has been a long standing research challenge. Artificial neural networks (ANNs) is one of promising approaches to predict wind speed. However, since the results of ANN-based models are strongly dependent on the initial weights and thresholds values which are usually randomly generated, the stability of forecasting results is not always satisfactory. This paper presents a new hybrid model for short term forecasting of wind speed with high accuracy and strong stability by optimizing the parameters in a generalized regression neural network (GRNN) using a multi-objective firefly algorithm (MOFA). To evaluate the effectiveness of this hybrid algorithm, we apply it for short-term forecasting of wind speed from four wind power stations in Penglai, China, along with four typical ANN-based models, which are back propagation neural network (BPNN), radical basis function neural network (RBFNN), wavelet neural network (WNN) and GRNN. The comparison results clearly show that this hybrid model can significantly reduce the impact of randomness of initialization on the forecasting results and achieve good accuracy and stability. © 2017 IEEE. Many web-based online learning systems focus more on textual and/or image based content delivery without including experiment systems, or if included they are usually operated under pre-defined conditions, such as fixed scenarios and pre-determined delivery orders. These limitations hinder personalized learning and collaboration between students and discourage student engagement. To circumvent these limitations, an Intelligent Web-based Experiment Management System (IWEMS) using multi-agent concept is presented. In the system, three kinds of software agents are used: (i) Student-Agent, responsible for assessing the knowledge levels of students. A fuzzy set based algorithm is used and the results are plotted through a dynamic polar chart; (ii) Teacher-Agent, responsible for tracking experiment progress of each student and recommending personalized the next-to-do experiment to him or her; and (iii) Co-Agent, responsible for group formation based on similar knowledge levels to facilitate collaborative learning between students. A prototype of this system is developed using a Java Agent Development Framework(JADE), where a client/server architecture and a MySQL database are used. It demonstrates the validity of the design and effectiveness of this system's functionality, achieves the personalization recommendation of next-to-do experiment and collaborative learning environment. © 2017, Springer International Publishing AG. This paper proposes a robust real-time face recognition system that utilizes regression tree based method to locate the facial feature points. The proposed system finds the face region which is suitable to perform the recognition task by geometrically analyses of the facial expression of the target face image. In real-world facial recognition systems, the face is often cropped based on the face detection techniques. The misalignment is inevitably occurred due to facial pose, noise, occlusion, and so on. However misalignment affects the recognition rate due to sensitive nature of the face classifier. The performance of the proposed approach is evaluated with four benchmark databases. The experiment results show the robustness of the proposed approach with significant improvement in the facial recognition system on the various size and resolution of given face images. As the main contributor to the traffic accidents, unsafe driving maneuvers have taken attentions from automobile industries. Although driving feedback systems have been developed in effort of dangerous driving reduction, it lacks of drivers awareness development. Therefore, those systems are not preventive in nature. To cover this weakness, this paper presents an approach to develop drivers awareness to prevent dangerous driving maneuvers. The approach uses Object-Oriented Bayesian Network to model hazardous situations. The result of the model can truthfully reflect a driving environment based upon situation analysis, data generated from sensors, and maneuvers detectors. In addition, it also alerts drivers when a driving situation that has high probability to cause unsafe maneuver to be detected. This model then is used to design a system, which can raise drivers awareness and prevent unsafe driving maneuvers. © Springer International Publishing AG 2016.Ontologies play an important role in conceptual model design and the development of machine-readable knowledge bases. They can be used to represent various knowledge not only about content concepts, but also explicit and implicit relations. While ontologies exist for many application domains of websites, the implicit relations between domain and accessed Web-pages might be less concerned and unclear. These relations are crucial for Web-page recommendation in recommender systems. This paper presents a novel method developing an ontology of Web-pages mapped to domain knowledge. It will focus on solutions of semi-automating ontology construction using Web usage data. An experiment of Microsoft Web data is implemented and evaluated. © 2016 by World Scientific Publishing Co. Pte. Ltd. Short-term wind speed forecasting plays an irreplaceable role in efficient management of wind energy systems and accurate forecasting results could provide effective future plans for operators of utilities and wind energy systems. Aiming at improving the accuracy of short-term wind forecasting, this paper presents a new forecasting model based on the non-positive constraint combination theory. In this model, a modified optimization algorithm is used to optimize the weight coefficients of the constituent models based on the non-positive constraint combination theory. The combined model is tested using three sets of 10-min wind speed data from real-world wind farms. The testing results show that the forecasting accuracy of new model is significantly better than the constituent models. © 2014 IEEE. In an unstructured environment, there are many challenges for obstacle detection. This paper presents an improved method to detect obstacles based on stereo vision in unstructured environments based on salient obstacle extraction. This method can achieve same or higher level of accuracy of obstacle detection compared to the existing salient obstacle detection with significant reduction of computation time. This method consists of two stages. In the first stage, it extracts the salient obstacles which stand out from the background in the stereo images using a fast salient obstacle detection method. In the second stage, it refines the detection of small obstacles by computing the geometric relationships among 3D points using an improved space-variant resolution (SVR) with the continuity and the height constraints. The experiment results show that this improved method can reduce computation time and improve detection accuracy. This paper aims to investigate the benefit of deploying battery energy storage system (BESS) in a power system for reducing production cost, shaving peak-load and providing reserve support. A BESS model is built which takes into account the charging and discharging efficiencies, charging/discharging power limits, and reserve capacity limits. This model is incorporated into the security-constrained unit commitment (SCUC) problem. The new SCUC problem is solved to optimally allocate the charging and discharging power and reserve capacity of each BESS. Tests are carried out on the IEEE 24-bus system and simulation results show that lower operational cost can be achieved by using BESS for both peak-load shaving/shifting and reserve support. © 2013 IEEE. This paper presents the performance analysis of a linear synchronous motor which employs high-temperature superconducting (HTS) bulk magnets on the mover and normal copper windings on the stator. The linear motor is designed to drive a prototype HTS maglev vehicle in which the mover is suspended by the levitation force between HTS bulks on the mover and permanent magnets on the ground. Finite element magnetic field analysis is conducted to calculate the major parameters of the linear motor and an equation is derived to calculate the electromagnetic thrust force. Theoretical calculations are verified by the measured results on the prototype. This paper presents the investigation of the B-H relations of a magnetorheological (MR) fluid under one-dimensional (1-D) alternating and two-dimensional (2-D) rotating magnetic field excitations where B is magnetic flux density and H is magnetic field strength. The measurement is carried out by using a single sheet tester with an MR fluid sample. The measurement principle and structure of the testing system are described. The calibration of the B and H sensing coils are also reported. The relations between B and H on the MR fluid sample under 2-D rotating magnetic field excitations have been measured and compared with the results under 1-D excitations showing that the B-H relations under 2-D excitations are significantly different from the 1-D case. These data would be useful for design and analysis of MR smart structures like MR dampers. Recent advances in solid-state semiconductors and magnetic materials have provided the impetus for medium frequency-link based medium voltage power conversion systems, which would be a possible solution to reducing the weight and volume of renewable power generation systems. To verify this new concept, in this paper, a laboratory prototype of 1.26 kVA medium-frequency-link power conversion system is developed for a scaled down 1 kV grid applications. The design and implementation of the prototyping, test platform, and the experimental results are analyzed and discussed. It is expected that the proposed new technology would have a great potential for future renewable and smart grid applications. This paper explores the potential financial return for using plug-in electric vehicles (PEVs) as a grid resource. There are two methods for PEVs to provide ancillary services call interruptible load and vehicle to grid The contract market is introduced first, then the method to calculate the cost benefit of plug-in electric vehicles (PEVs) to provide ancillary services are proposed. Additionally, the expected profits and profits of providing the ancillary services when considering the uncertainties of driving behaviors are both calculated and compared. The calculation results indicate that profits of participating in frequency regulation are higher than that of reserve services. When penalty is neglected or the penalty coefficient is low, the revenue of regulation down services is relatively high. However, with the increasing of penalty factor, the profits decrease dramatically. When the penalty coefficient is sufficiently high, participating in regulation up services in V2G mode is most profitable. © 2012 IEEE. Most governments around the globe use the internet and information technologies to deliver information and services for citizens and businesses. One of the main directions in the current e-government (e-Gov) development strategy is to provide better online services to citizens such that the required information can be located by citizens with less time and effort. Tourism is one of the main focused areas of e-Gov development strategy because it is one of the major profitable industries. Significant efforts have been devoted by governments to improve tourism services. However, the current e-Gov tourism services are limited to simple online presentation; intelligent e-Gov tourism services are highly desirable. Personalization techniques, particularly recommendation systems, are the most promising techniques to deliver personalized e-Gov (Pe-Gov) tourism services. This study proposes ontology-based personalized e-Gov tourism recommender system framework, which would enable tourism information seekers to locate the most interesting destinations and find the most preferable attractions and activities with less time and effort. The main components of the proposed framework and some outstanding features are presented along with a detailed description of a scenario. E-government (e-Gov) has become one of the most important parts of government strategies. Significant efforts have been devoted to e-Gov tourism services in many countries because tourism is one of the major profitable industries. However, the current e-Gov tourism services are limited to simple online presentation of tourism information. Intelligent e-Gov tourism services, such as the personalized e-Gov (Pe-Gov) tourism services, are highly desirable for helping users decide âwhere to go, and what to do/seeâ amongst massive number of destinations and enormous attractiveness and activities. This paper proposes a framework of Pe-Gov tourism services using recommender system techniques and semantic ontology. This framework has the potential to enable tourism information seekers to locate the most interesting destinations with the most suitable activities with the least search efforts. Its workflow and some outstanding features are depicted with an example. Current semantic recommender systems aim to exploit the website ontologies to produce valuable web recommendations. However, Web usage knowledge for recommendation is presented separately and differently from the domain ontology, this leads to the complexity of using inconsistent knowledge resources. This paper aims to solve this problem by proposing a novel ontology-style model of Web usage to represent the non-taxonomic visiting relationship among the visited pages. The output of this model is an ontology-style document which enables the discovered web usage knowledge to be sharable and machine-understandable in semantic Web applications, such as recommender systems. A case study is presented to show how this model is used in conjunction of the web usage mining and web recommendation. Two real-world datasets are used in the case study. By improving the quality of e-government services by enabling access to services across different government agencies through one portal, services integration plays a key role in e-government development. This paper proposes a conceptual framework of ontology based e-government service integration, using Saudi Arabia's King Abdullah Scholarship Program (SAKASP) as a case study. SAKASP is a multi-domain program in which students must collect information from various Ministries to complete applications and the administering authority must verify the information supplied by the Ministries. The current implementation of SAKASP is clumsy because it is a mixture of online submission and manual collection and verification of information; its time-consuming and tedious procedures are inconvenient for the applicants and inefficient for the administrators. The proposed framework provides an integrated service by employing semantic web service (SWS) and ontology, improving the current implementation of SAKASP by automatically collecting and processing the related information for a given application. The article includes a typical scenario that demonstrates the workflow of the framework. This framework is applicable to other multi-domain e-government services. The study on high temperature superconducting (HTS) bulk magnets and their application has attracted much attention. This paper presents the performance analysis of a linear synchronous motor (LSM) with HTS bulk magnets for driving an HTS maglev vehicle model. Finite element magnetic field analysis is carried out for computing the magnetic field distribution and key parameters of the LSM, and an equivalent electrical circuit is then applied to predict the motor performance, showing that the presented motor is appropriate for driving the model vehicle. The LSM has been prototyped, installed in the maglev vehicle model, and tested for validating the theoretical analysis. Guo, Y, Zhu, J, Wang, Y, Lu, H & Lin, Z 2010, 'Performance Analysis of a Permanent Magnet Claw Pole SMC Motor with a Nonlinear Inductance Model', Proceedings of Asia-Pacific Symposium on Applied Electromagnetics and Mechanics (APSAEM2010), Japan Society of Applied Electromagnetics and Mechanics, Kuala Lumper, Malaysia, pp. 348-351. Web user session clustering is very important in web usage mining for web personalization. This paper proposes a particle swarm optimization (PSO) based sequence clustering approach and presents an experimentally investigation of the PSO based sequence clustering methods, which use three original PSO variants and their corresponding variants of a hybrid PSO with real value mutation. The investigation was conducted in 45 test cases using five web user session datasets extracted from a real world web site. The experimental results of these methods are compared with the results obtained from the traditional k-means clustering method. Some interesting observations have been made. In the most of test cases under consideration, the PSO and PSO-RVM methods have better performance than the k-means method. Furthermore, the PSO-RVM methods show better performance than the corresponding PSO methods in the cases in which the similarity measure function is more complex. E-government is becoming more attentive towards providing intelligent personalized online services to citizens so that citizens can receive better services with less time and effort. This paper proposes a new conceptual framework for delivering personalized e-government services to citizens from a citizen-centric approach, called Pe-Gov service framework. This framework outlines the main components and their interconnections. Detailed explanations about these components are given and the special features of this framework are highlighted. This framework has the potential to outperform the existing e-Gov service systems as illustrated by two real life examples. Guo, Y, Zhu, J, Dorrell, D, Lu, H & Wang, Y 2009, 'Development of a Claw Pole Permanent Magnet Motor with a Molded Low-Density Soft Magnetic Composite Stator Core', 2009 IEEE ENERGY CONVERSION CONGRESS AND EXPOSITION, VOLS 1-6, IEEE Energy Conversion Congress and Exposition, IEEE, San Jose, CA, pp. 703-710. SMC (soft magnetic composite) materials and SMC electrical machines have undergone significant development in the past decade. For the molding of the SMC core, if a high productivity low pressure press is used, the manufacturing cost can be dramatically reduced. However, the magnetic properties of the SMC core and the machine performance are highly dependant on the mass density of the core. This paper presents the development of a claw pole permanent magnet motor with a low mass density SMC stator core molded at low pressure which can replace the existing single phase induction motor in a dish washer pump. The developed SMC motor has been prototyped and tested. Both the parameter computation and performance prediction are validated by the experimental results. These show that the low mass density SMC core is suitable for low cost mass production of SMC electrical machines. This paper presents the development of a permanent magnet motor with soft magnetic composite (SMC) stator core for driving a dishwasher pump. The unique properties of the SMC, such as 3D magnetic isotropy and molding production technique, have been taken into account in the design. 3D magnetic field finite element analysis is carried out to accurately compute the motor parameters and an equivalent electrical circuit is derived to predict the motor performance. Analysis results show that the developed motor is appropriate. This paper investigates the design and analysis of a linear induction motor (LIM) drive for a prototype transportation system, which is levitated by the interaction force between high temperature superconducting (HTS) bulks placed on the ground and permanent magnets (PMs) mounted on the bottom of the vehicle, while the driving force is provided by a linear induction motor system on the side of the prototype vehicle. An equivalent electrical circuit is applied to predict the motor characteristics and the computation results show that the proposed LIM drive system is appropriate for driving the HTS maglev transportation prototype. High temperature superconducting (HTS) linear synchronous motor (LSM) integrated with HTS magnetic levitation system, can realize self-levitation and self-guidance without any sliding friction, which will have important applications in many fields such as electromagnetic aircraft launch system, maglev transportation. This paper presents the design and electromagnetic analysis of a HTS LSM, which is levitated by a magnetic levitation system consisting of HTS bulkspermanent magnet (PM) guideways. Numerical analysis and magnetic field finite element analysis (FEA) methods are applied to analyze the thrust, levitation and guidance force characteristics, and the electromagnetic performance of HTS LSM under no-load and load situations are studied with the analysis results are given. Finally, the primary motor running testing results are provided. Prediction is important for the electricity capacity management. Accurate prediction can help the policymaker make correct decision and promote the decision making quality. For improving an accuracy of prediction, in this paper, we adopt the theory of Grey prediction to develop a new forecasting approach that integrates historical data of the gross domestic products (GDP) into an electric capacity forecasting. We adopted Grey prediction as a forecasting means because of its fast calculation with as few as four data inputs needed. As a result, our study considered that Wu and Chen proposed a modeling method of the improved grey relational analysis and main shows that the general Grey model, GM (1, 1), which is an especial case, is adequate to handle an electrical power system. In this study, the prediction is improved significantly by applying the transformed Grey model and the concept of average system slope. The adaptive value of a in the Grey differential equation is obtained quickly with the average system slope technique. In such a way, the wastage of electric consumption can be avoided. That is, it is another achievement of virtual electric power plant. Â©2008 IEEE. Wang, J, Sun, D, Wang, Y & Lu, H 2008, 'Supply Chain Safety Stock Quantity's Fractal Forecast and Study', 2008 4TH INTERNATIONAL CONFERENCE ON WIRELESS COMMUNICATIONS, NETWORKING AND MOBILE COMPUTING, VOLS 1-31, 4th International Conference on Wireless Communications, Networking and Mobile Computing, IEEE, Dalian, PEOPLES R CHINA, pp. 6944-+. Guo, Y, Wang, X, Zhu, J & Lu, H 2008, 'Development of a Wound Rotor Brushless Doubly Fed Machine Based on Slot MMF Harmonics', 2008 IEEE INDUSTRY APPLICATIONS SOCIETY ANNUAL MEETING, VOLS 1-5, IEEE Industry-Applications-Society Annual Meeting, IEEE, Alberta, CANADA, pp. 524-+. Wang, J, Zheng, G, Liang, J & Lu, H 2008, 'A Extended Cultural Algorithm Based on Fuzzy Adaptive PSO', ADVANCES IN BUSINESS INTELLIGENCE AND FINANCIAL ENGINEERING, International Conference on Business Intelligence and Financial Engineering, ATLANTIS PRESS, Changsha Univ Sci & Technol, Sch Econ & Management, Changsha, PEOPLES R CHINA, pp. 591-+. Wang, J, Zhu, W, Sun, D & Lu, H 2008, 'Application of SVM Combined with Mackov Chain for Inventory Prediction in Supply Chain', 2008 4TH INTERNATIONAL CONFERENCE ON WIRELESS COMMUNICATIONS, NETWORKING AND MOBILE COMPUTING, VOLS 1-31, 4th International Conference on Wireless Communications, Networking and Mobile Computing, IEEE, Dalian, PEOPLES R CHINA, pp. 6531-+. Wang, J, Che, J, Liang, J & Lu, H 2008, 'A Fuzzy Pattern Recognition System Based on SOM Clustering and RBF Neural Networks for Prediction', Proceedings of the 6th International Conference on Information Collection and Data Disposal. In order to realize the industrialization production of software, people have carried out research on and analysis the software product line architecture of the growing maturity, component technology and development methods for product line. In this paper, a novel software engineering process model is proposed based on the modern industrial production systems and automated production method: that is ldquoN-life-cycle modelrdquo. Based on this new model, not only integrated software engineering environment model and framework have been proposed, which are based on the product line development process model, but also study systematically on theirs implementation. "N-life-cycle model" and "integrated software engineering environment model based on the product line" which are set up in the article are brand-new open models possessing modern manufacturing production characteristic. The models can impel the research development quickly of product line engineering and product line software engineering environment towards the industrialisation and automatization of the software industry. Safety stock, a very important composing of the stock management, which is significant for reducing the cost and increasing interests for an enterprise, is the base of the setting of enterprise's stocks, so it is crucial for stock management to presume a rational and exact SS. In this paper, introducing fractal theory, a new method based on the fractal collage theorem and the iterative process of fractal interpolation functions was proposed to forecast the safety stock. Based on the fractal collage theorem, it uses the iterated function system whose attractor is close to the historical data to establish the fractional function, and set the forecasting model proposed according to the iterative process of fractional function. Then by an example the rationality and reliability of this method is verified, and the result show that it is helpful indeed to set the reasonable safety stock for enterprise. Wang, J, Liang, H, Sun, D & Lu, H 2008, 'An Integrated Early Warning Information System based on the GRA and ANN for Air Pollution and Meteorological Disease', Proceedings of the 3nd China Workshop on Information System for Crisis Response and Management & the Post-Conference Meeting to the International Disaster Reduction Conference, the 3rd International China Workshop on Information Systems for Crisis Response and Management (ISCRAM-CHINA) and the 4th International Symposium on Geo-Information for Disaster Management (Gi4DM), Harbin Engineering University Press, Harbin, China, pp. 553-558. Wang, J, Wang, H, Sun, D & Lu, H 2008, 'Ontology-Based Assembly Design and Information Sharing for Supply Chain Information,', Proceedings of the 38th International Conference on Computers and Industrial Engineering, Hawaii International Conference on System Sciences, Organizing committee of the 38th International Conference on Computers and Industrial Engineering, Beijing, China, pp. 1220-1226. Nowadays, supply chain information is increasingly used by many entities around the world. Then, the need of sharing information from different sources is an obvious consequence from such proliferation of systems. Unfortunately, integrating supply chain information is not a trivial issue, because data and knowledge exchange among users of supply chain information systems presents many challenges. We must deal with the heterogeneity problem, which increase complexity of integration approaches. This paper discusses issues related to the use of ontologies in the development of supply chain information systems and proposes the creation of software components from diverse ontologies as a way to share data and supply chain information. In this paper, we study a signal processing problem which concentrates on outlier detection and data mining in order to rediscover some useful information. Moreover, the great difficulty of the subject is caused by both the external environment and the internal mechanism. In the external, owing to limit of impersonal condition, such as, realistic disturbance from noise signal can not avoid. In the internal, the masking effect appears in outlying observation so as to produce some unreasonable results by data analysis. Therefore, based not only on the requirement of external quality assurance schemes, but also on internal quality control where screening for outliers should probably be part of the procedure for our main goal. As a consequence, we have applied data accumulated generating operation and sample median test for solving the conundrum. The aim of this paper is to predict the inventory of the relevant upstream enterprises in supply chain. The support vector machine, a novel artificial intelligence-based method developed from statistical learning theory, is adopted herein to establish a short-term stage forecasting model. However, take the fact into account that demand signal is affected by variant random factors and behaves big uncertainty, the predicted accuracy of SVM is not approving when the data show great randomness. It is obligatory that we present Markov chain to improve the predicted accuracy of SVM. This combined model takes advantage of the high predictable power of SVM model and at the same time take advantage of the prediction power of Markov chain modeling on the discrete states based on the SVM modeling residual sequence. Then we use the statistical data of the output of the gasoline of China from Feb-06 to Dec-07 for a validation of the effectiveness of the above model. Supply chain management (SCM) is an emerging field that has commanded attention and support from the industrial community. Demand forecast taking inventory into consideration is an important issue in SCM. This paper presents a novel computerized system for implementing the forecasting activities required in SCM. It can help the supply chain enterprises find hidden forms, trends and relationships in the date of supply chain by the dynamic fractal dimension of fractal theory, find that dynamic fractal dimension not only can overcome the delay of the existing technical analysis on the price forecasts, and but also can instruct the supply chain product prices in advance. It is significant to evaluate the situations of oil security for taking national oil security measures, because very important relationships exist between the oil security and the national security. A novel combined method is presented in this paper, which is based on using principal component analysis (PCA) and fuzzy cluster analysis (FCA) modeling. It is used for assessing oil security. In this paper, the data of 13 years is taken as sample and 10 indexes are selected to constitute an evaluation system for oil security. PCA is used for reducing the dimensions of indexes, and the new indexes are formed for oil security. Then FCA is used for classifying the 13 samples. At last a dialed analysis is made and some suggestions are put forward to ensure oil security. Guo, Y, Dou, Y, Zhu, J, Lu, H & Jin, J 2008, 'Numerical Magnetic Field Analysis and Performance Computation of a Permanent Magnet Synchronous Generator', Proceedings of the 11th International Conference on Electrical Machines and Systems (ICEMS), World Publishing Corporation, Wuhan, China, pp. 2866-2869. Zhu, J, Lu, H, Guo, Y & Lin, Z 2008, 'Development of Electromagnetic Linear Actuators for Micro Robots (Invited)', Proceedings of the 11th International Conference on Electrical Machines and Systems (ICEMS), International Conference on Electrical Machines and Systems, World Publishing Corporation, Wuhan, China, pp. 3673-3679. For micro robotic applications, piezoelectric actuators are widely used, whereas electromagnetic actuators are not favored because of the complex structures and difficult fabrication. On the other hand, electromagnetic actuators have many merits that are suitable for robotic applications, such as relatively large displacement or stroke and no need of high voltage power supply. With the recent fast development of micro precision machining techniques, the fabrication of complex structures is no longer a problem. This paper presents our recent study of developing electromagnetic actuators for micro robotic applications, including a comparison between piezoelectric and electromagnetic actuators, design of two types of electromagnetic actuators, and fabrication and testing of a moving magnet tubular linear actuator. In a rotating electrical machine or the T-joints of a multiphase transformer, the magnetic flux is basically three dimensional (3-D) and rotational. This paper presents the 3-D vector magnetic properties of soft magnetic composite (SMC) materials for advanced field analysis of electromagnetic devices with SMC core, which is particularly developed for application of electrical machines with complex structure and 3-D flux. The 3-D magnetic reluctivity tensor is derived from the magnetic measurements on a cubic SMC sample by using a 3-D magnetic property tester. The tensor consists of both diagonal and offdiagonal terms and the latter account for the effect of rotating flux. Practical techniques for employing the vector magnetic properties in field analysis are reviewed and discussed. In the rotor winding magnetomotive force (MMF) of an ac machine, there exist so-called slot harmonics which appear in pairs and the lower order harmonic of each pair rotates in the opposite direction against the fundamental component. In addition, the slot harmonics have the same winding factor as the fundamental component. Based on these properties, this paper develops a brushless doubly fed machine (BDFM) with wound rotor. The machine consists of two stator windings with p1 and p2 pole-pairs, respectively. The rotor has a normal symmetrical multi-phase winding, in which rotating MMFs with p1 and p2 pole-pairs are induced by their stator counterparts. When the number of rotor slots equals the sum p1 and p2, the two MMFs rotate in opposite directions with respect to the rotor, satisfying the requirement of a BDFM. The major advantage of such a machine is that for both p1 and p2 pole-pair MMFs the winding factor is as high as that of the fundamental component, leading to high utilization of rotor winding and electrical efficiency. Guo, Y, Dou, Y, Zhu, J, Lu, H & Jin, J 2008, 'Numerical Magnetic Field Analysis and Parameter Computation of a PM Synchronous Generator', ICEMS 2008: PROCEEDINGS OF THE 11TH INTERNATIONAL CONFERENCE ON ELECTRICAL MACHINES AND SYSTEMS, VOLS 1- 8, 11th International Conference on Electrical Machines and Systems, WORLD PUBLISHING CORPORATION, Huazhong Univ Sci & Technol, Wuhan, PEOPLES R CHINA, pp. 2866-+. This paper presents the performance analysis of a three-phase three-stack permanent magnet (PM) claw pole motor by using an improved phase variable model, which has been developed for accurate and efficient performance simulation of PM brushless dc motors. The improved model can take into account the effect of magnetic saturation and rotor position dependence of key parameters including back electromagnetic force, winding inductance, cogging torque and core loss, which are obtained from time-stepping nonlinear magnetic field finite element analysis (FEA). The presented model has been implemented in Simulink environment and employed to simulate the dynamic and steady-state performance of the three-phase three-stack PM claw pole motor with soft magnetic composite stator. Parameter computation and performance simulation are validated by experiments on the motor prototype. Guo, Y, Chen, J, Zhu, J, Lu, H, Lu, H & Jin, J 2007, 'Development of a PM linear motor for driving HTS maglev vehicle', 2007 INTERNATIONAL CONFERENCE ON ELECTRICAL MACHINES AND SYSTEMS, VOLS 1-4, International Conference on Electrical Machines and Systems, IEEE, Seoul, SOUTH KOREA, pp. 1300-+. Wang, J-Z, Wu, L & Lu, H-Y 2007, 'Special periods peak load analysis and superior forecasting method based on LS-SVM', 2007 INTERNATIONAL CONFERENCE ON WAVELET ANALYSIS AND PATTERN RECOGNITION, VOLS 1-4, PROCEEDINGS, 5th International Conference on Wavelet Analysis and Pattern Recognition, IEEE, Beijing, PEOPLES R CHINA, pp. 249-+. Guo, Y, Zhu, J, Lu, H, Wang, S & Jin, J 2007, 'Performance analysis of an SMC transverse flux motor with modified double-sided stator and PM flux concentrating rotor', 2007 INTERNATIONAL CONFERENCE ON ELECTRICAL MACHINES AND SYSTEMS, VOLS 1-4, International Conference on Electrical Machines and Systems, IEEE, Seoul, SOUTH KOREA, pp. 1752-+. Guo, Y, Zhu, J, Liu, D, Lu, H & Wang, S 2007, 'Application of multi-level multi-domain modeling in the design and analysis of a PM transverse flux motor with SMC core', 2007 INTERNATIONAL CONFERENCE ON POWER ELECTRONICS AND DRIVE SYSTEMS, VOLS 1-4, 7th International Conference on Power Electronics and Drive Systems (PEDS 2007), IEEE, Bangkok, THAILAND, pp. 275-+. Abstract: People often try to smooth or eliminate load outliers all together in traditional power load forecasting. This, however, could result in the loss of important hidden information. In other words, the power load outliers themselves may be particular important. Hence there is a beforehand estimate to change and characteristic of power load, especially in power load outliers or peak load, is a precondition of power system carry through economy dispatch, reduce production cost and prevent widespread blackout or collapse on electric system. In this paper propose a novel method for special periods power peak load detection, mining and forecasting. It incorporates the characteristic of high level load and maximum peak load analysis with optimum forecasting algorithm based on support vector machine. The validity of the method is proved by real data calculation. The phenomenon that a permanent magnet (PM) over a high temperature superconductor (HTS) bulk can produce strong levitation force with self-stabilizing feature has attracted strong interest of application in maglev transportation systems, in which a linear motion drive is an obvious advantage. This paper presents the development of a PM linear synchronous motor drive for a small-scale prototype vehicle which is levitated by PM-HTS bulks. Magnetic field finite element analyses are conducted to compute accurately the key motor parameters such as winding flux, back electromotive force (emf), inductance and cogging force. The steady state characteristic of the motor is predicted by using the classic phasor voltage equation, which can provide a reasonable result if the fundamental components of the applied voltage, back emf and current are dominant. A Matlab/Simulink-based model, capable of considering the dependence of key parameters on the mover position, is built to predict effectively the motor's dynamic performance under a brushless DC (BLDC) control scheme. The simulated results show that the developed linear motor can drive the HTS maglev vehicle prototype at the desired speed. This paper presents the design and performance analysis of a three-phase three-stack transverse flux motor with a modified double-sided stator and a permanent magnet (PM)flux concentrating rotor. Both stator and rotor cores employ SOMALOYtrade 500, a new soft magnetic composite (SMC) material specially developed for electrical machine application. By taking advantage of the unique properties of SMC, such as the magnetic isotropy, the motor is designed with three-dimensional (3D) magnetic flux path. To accurately compute the motor parameters and performance, improved formulations are applied in combination with 3D magnetic field finite element analysis. The designed motor shows superior characteristics to laminated machines. This paper presents the design and analysis of a permanent magnet (PM) transverse flux motor with soft magnetic composite (SMC) core by applying multi-level multi-domain modeling. The design is conducted in two levels. The upper level is composed of a group of equations which describe the electrical and mechanical characteristics of the motor. The lower level consists of two domains: electromagnetic analysis and thermal calculation. The initial design, including structure, materials and major dimensions, is determined according to existing experience and empirical formulae. Then, optimization is carried out at the system level (the upper level) for the best motor performance by optimizing the structural dimensions. To successfully deal with such a multi-level multi-domain optimization problem, an effective modeling with both high computational accuracy and speed is required. For accurately computing the key motor parameters, such as back electromotive force, winding inductance and core loss, magnetic field finite element analysis is performed. The core loss in each element is stored for effective thermal calculation, and the winding inductance and back EMF are stored as a look-up table for effective analysis of the motor's dynamic performance. The presented approach is effective with good accuracy and reasonable computational speed. Soft magnetic composite (SMC) materials are particularly suitable for construction of electrical machines with complex structure and 3D magnetic flux. For design and analysis of such 3D flux machines, 3D magnetic properties of the magnetic materials should be properly determined, modeled and applied for calculating the magnetic field distribution, parameters and performance. This paper presents the 3D magnetic property measurement and determination of 3D reluctivity tensor of SMC. The reluctivity tensor is a key factor for the numerical analysis of magnetic field in a 3D flux SMC motor. ©2006 IEEE. Lu, HY & Zhang, G 2004, 'A new parallel search algorithm for non-linear function optimization', Proceedings of the Second International Conference on Information Technology and Applications (ICITA 2004), pp. 109-114. This paper proposes a new parallel search algorithm using evolutionary programming and quasi-simplex technique (EPQS). EPQS produces the offspring from three ways in parallel: 1) Using the Gaussian mutation, 2) Using the Cauchy mutation, and 3) Using the quasi-simplex techniques. The quasi-simplex technique uses the ideal of classical simplex technique and produces four prospective individuals by using the reflection, expansion and compression operations. EPQS selects the parents for the next generation from all the parents and offspring. EPQS takes the diversity of offerings into consideration by generating the offspring from as many as possible ways while it maintains a substantial convergence rate. Experimental studies on six typical benchmark functions have shown that the proposed algorithm is more effective than the competing algorithms.